It’s no secret that an increasing number of individuals are looking to invest in startups. The rise of crowdfunding platforms, syndicates and hybrid investment models in Canada is a good indication that the startup investing scene is alive and well. Still, many individual investors are passing on early-stage companies as an asset class. Often, their hesitation stems from a couple of things: 1) a few widely spread untruths and 2) a lack of knowledge of the industry. We're here to remedy that. Because the venture capital world has always had a certain mystique to it, some popular myths have emerged and created confusion—sometimes fear—among investors. We hear this often. While it’s true that many great companies turn to traditional venture capital - with little or no individual access - for funding, startups are opening up to the idea of other alternatives. With certain models, you can create a deal flow of bonafide “VC-grade” investment opportunities and play at the same level, and on the same terms, as the big firms. This means that you don’t have to go to your uncles’-neighbors’-kids’-guitar-teachers’ startup if you want to get skin in the VC game. Alone, building serious deal flow can take a lot of work, but exceptional companies are now becoming available to individuals through reputable vehicles. The best part? They’re usually accessible for a reasonable minimum. Exorbitant fees, carry and minimum investment are usually what turn off newer investors. The idea of investing hundreds of thousands of dollars in a very risky asset-class is not for the faint-hearted (or risk-averse). While it’s true that “It takes money to make money” applies to venture capital, there are investment vehicles that will not only charge reasonable fees and carry, but encourage a more diversified and manageable portfolio via smaller contributions. When looking for an investment opportunity that won’t bleed you dry with high admin costs, try to invest alongside someone who invests their own money AND makes money on the upside—this keeps everyone’s interests aligned. It’s true, there are a LOT of components involved when investing in a startup. At Brightspark, our due diligence alone can take up to 6 months for a single company before we decide to draft a term sheet (which then takes a good chunk of time, too!). The reality is that many investment vehicles targeted at individual investors will offer to do the heavy lifting for you. Make sure they’re reputable first, but if you can find someone you trust to help with the background check, legal and admin work, you’ll be in a sweet spot. If they have prior investing experience, even better. There’s nothing better than to invest alongside experienced investors whose skillsets can complement yours. That being said, we encourage investors to always do their own due diligence. We provide the tools that make this easier and save you time, but it’s ultimately up to you to invest in the companies you believe are right for you. Believe it or not, we hear this one often. Startups are risky and most will fail, but, when they succeed, the returns blow most other asset classes out of the park. Investing in early-stage companies is a breed of its own. Our best tip to see returns from your investments is to have a diversified portfolio spread across different industries, stages and rounds. For example, the investors in our network usually invest anywhere from $10K to $30K per company, but will spread out their VC budget across multiple startups or follow-up rounds. Top tip: While we're on the topic of follow-up rounds, a good way of preserving your stake in a startup is to participate in follow-up rounds to prevent dilution. This is important if you see a bright future for the company you're investing in and don't want the value of your equity to drop. 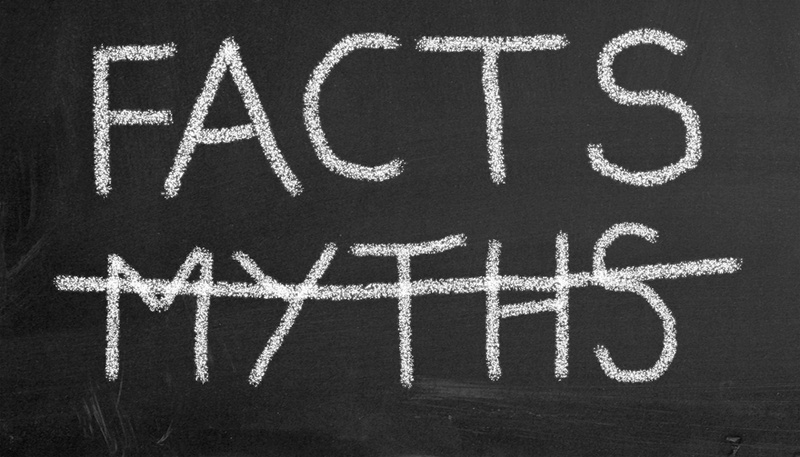 The Brightspark model directly challenges and overcomes these 4 myths. 1) Our model gives individual investors access to VC deals that have previously only been accessible to large institutions. 2) Our fee structure are as follows: management fees (1.5 to 2% per year for the first 3 years), and a one-time admin reserve (2.5 to 4%) with a 15% carry. Traditional venture capital charges 2-2.5% per year over 5-10 years (often totalling over 15%) with an additional 20-25% carry upon exit. We look at 100’s of deals and choose very few to invest in—often the top 1%—and we manage our investments on an ongoing basis. Full reports are delivered to investors over the lifetime of the investment. Since investing in early-stage is still a relatively new concept for individuals, it’s not surprising that it generates a lot of questions and creates hearsay. If you’re considering investing in startups or even if you want to learn more about startup investing, a good place to start is to join Brightspark's network. You’ll have free access to a world-class deal flow, introductory information on VC-investing, and invitations to workshops with our partners. All of this, and more, delivered conveniently to your inbox.